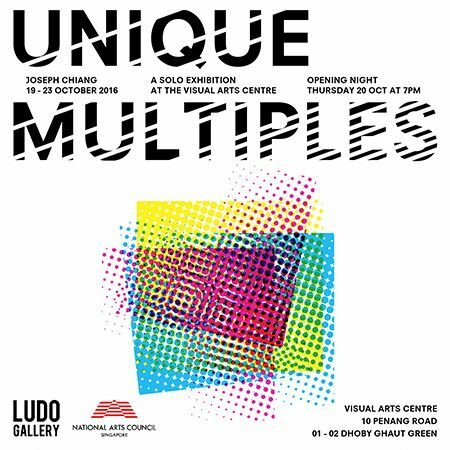 LUDO Gallery is proud to curate and present Unique Multiples by Joseph Chiang. Joseph Chiang is a master printmaker in Singapore and the man behind Monster Gallery and Young Printmakers League. For his solo exhibition, Unique Multiples, Joseph will be showing a series of silkscreen monoprints, with only one screen used for each series. Joseph explores and creates prints that looks at the relevance of art-creation versus the modern era of hi-technology and mass-consumption. This exhibition is also supported by the National Arts Council. Join Joseph on the opening night of Unique Multiples! Thursday 20 October, 7pm - 10pm.